Did some initial triaging and string analysis in order to try and deduce what the sample may do. We discovered that it was packed using a UPX packer. We unpacked the sample by hand using OllyDbg and ImportRec. Then analyzed the strings of our unpacked sample to see if we could now determine this samples potential capabilities. Today, we are going to test our theory by actually running and debugging the EsteCrackMe3013 sample. Remember from part one, we did observe some indications of anti-debugging in our string analysis, so it is likely that we will have to try to circumvent those. And that is exactly what all those MOV instructions are doing. Moving the “scrambled” start up message into memory. It also explains why we were seeing lots of spaces. 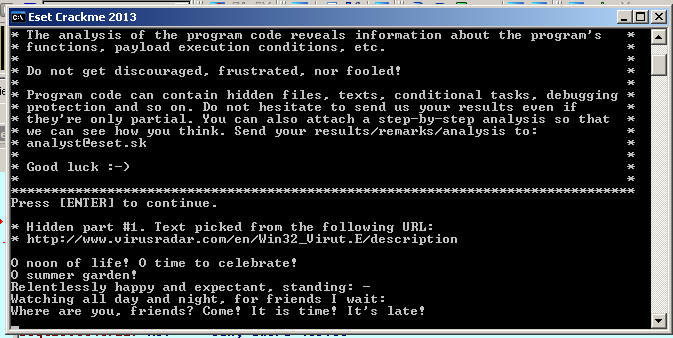 After writing the start up message to the console, the program immediately calls a subroutine located at 0x402998. This routine checks if we hit the ‘Enter’ key to continue. Once we hit the enter key, the program calls the subroutine on the next line. At first, I thought this was a TLS callback because I saw evidence of TlsIndex, and calls to TlsGetValue. There appears to be a place for a callback function. 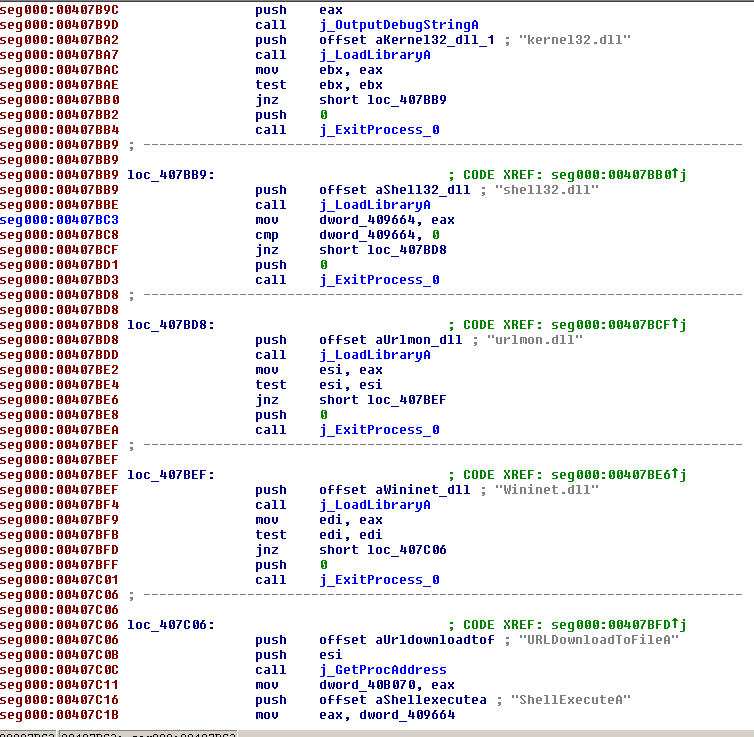 However, after hitting CTL-E in IDA, the only starting point I saw was the program’s starting point. I did not see evidence of a TlsCallbackEntry point. I did not spend too much time investigating this subroutine, but, whether a callback is called or not, it appears that the program makes calls to non-returnable functions. These functions eventually cause the program to wend its way to a FreeLibrary call and then eventually to an ExitProcess call. My guess is, that during the normal flow of the program, we call this routine and eventually terminate the program. This subroutine, however, does not prevent us from stepping over this function during a debug session. 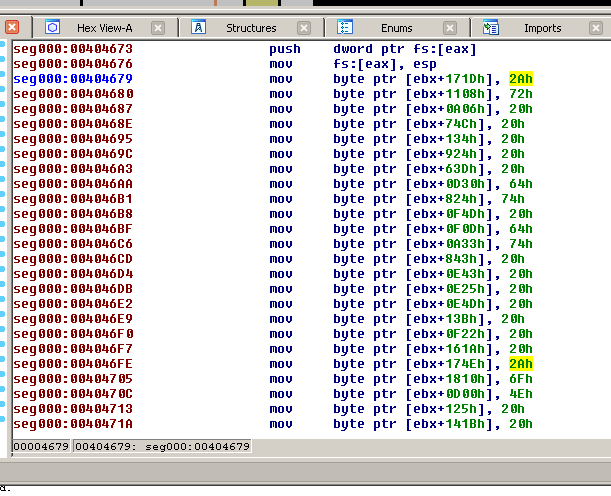 But if we do, notice that the program loads some value from location 0x40810C, and then calls OutPutDebugString. 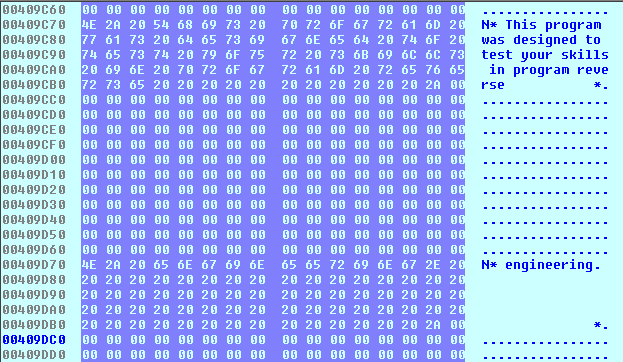 What do you bet, EAX contains that ‘s%s%s%s%s%s%s…” string sequence we saw in our string analysis in part one? Sure enough, that is exactly what EAX contains. So, if we step over subroutine sub_40256C, and get to location 0x407BD92, then the program knows it must be in a debugger. 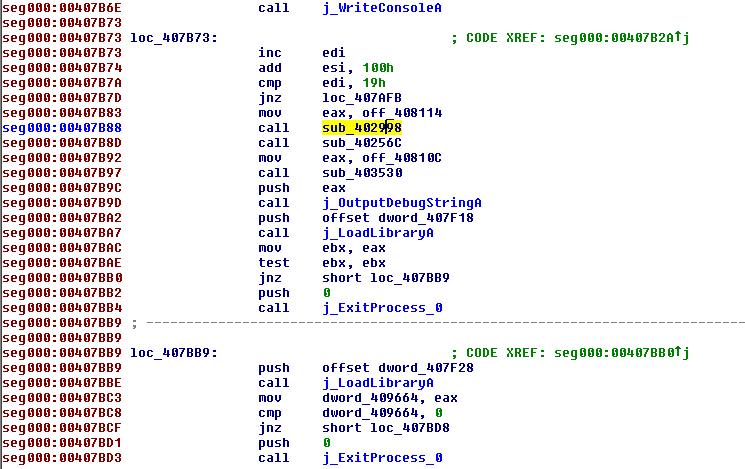 It attempts to leverage an old OllyDbg vulnerability that will crash Olly. 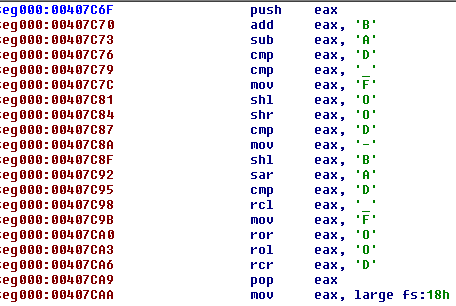 We can change EAX to 0 to get past that issue, or use a newer version of Olly, or IDA’s debugger. URLMON and WININET libraries, functions for checking for Internet connections, and to download a file from some location. 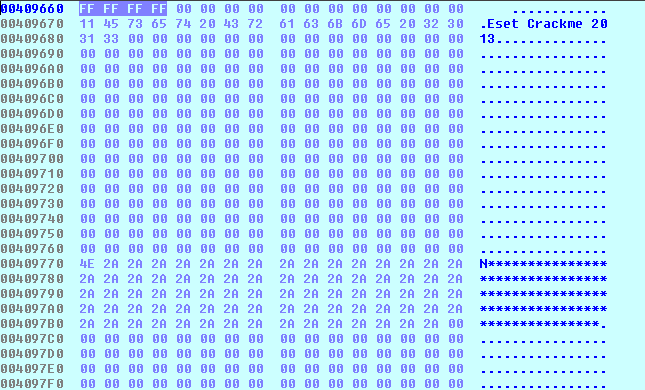 We also see strings for IsDebuggerPresent and scrolling down a little further we also calls to GetTickCount, and checks to the file segment fs:18h. These are all known techniques for checking to see if the program is in a debugger. If it is, the program can simply terminate the process leaving us high and dry. Interesting! A key of some sort? Scrolling further down, there are more checks for debugging and calls to GetTickCount, and jumps to ExitProcess if a debugger is detected. But eventually, we arrive to a series of code blocks that call WriteConsole. What other messages are there? Our next goal is to start the debugger, and when ever we come to a check for a debugger, change the jump value in the control flags to avoid ending the process. 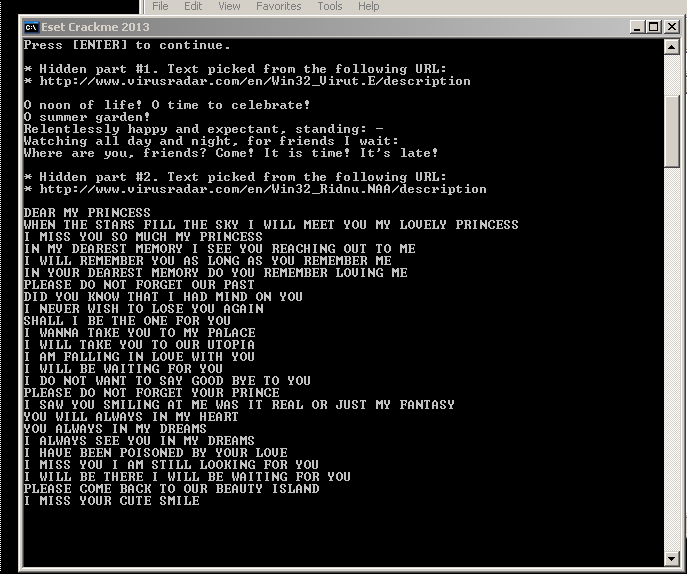 Lets see if we can get to these WriteConsole calls and see what these messages are. Looks like there is a second leg to our quest! Ok. We got pretty far today. 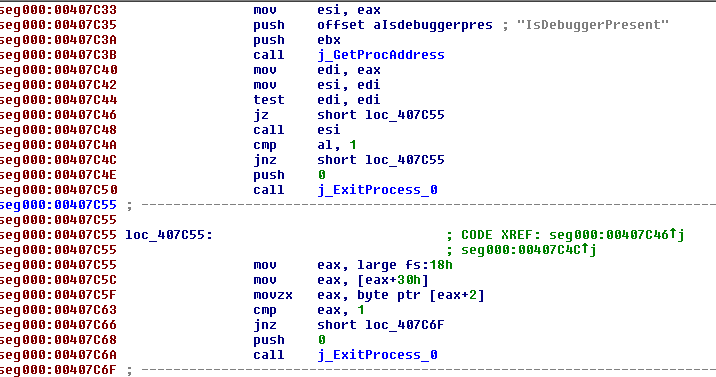 It may be a good idea to re-run this program in our debugger, just like we did above, but this time run procmon and fakenet to see if this program did anything else behind the scenes such as write to the registry, and download any files. 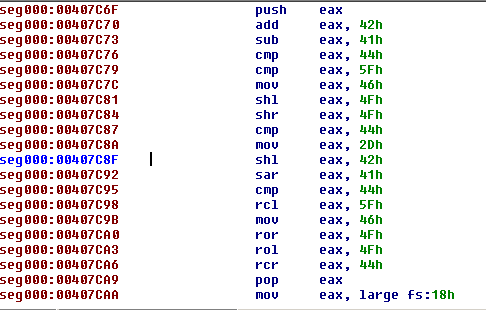 This was a lot of fun and I learned some new tricks in IDA Pro that will be useful in my new position as a malware analyst and researcher. The next step is to visit the site, and get the second part of the challenge, and repeat the process. But that we will have to do another day. I am begginer and I have one question, why you didn’t analyse CALL on 0040465C? this call to big function with API calls?